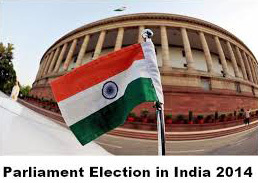 India is due to face one of the greatest challenges within few weeks when 81.45 crores of voters will cast their votes in the general election to elect 543 members of the sixteenth Lok Sabha. The general election will be held in nine phases, the longest election in the country’s history, from 7 April to 12 May 2014. Voting will take place in all 543 parliamentary constituencies of India. The result of this election will be declared on 16 May 2014, before the 15th Lok Sabha completes its constitutional mandate on 31 May 2014. There is a lot of speculation all-around regarding the possible outcome of the general election. It seems that the wind is clearly blowing in the direction of the Narendra Modi led BJP and the National Democratic Alliance (NDA) which is predicted to sweep the polls whereas the Congress led United Progressive Alliance (UPA) is being written off as the party and alliance that is doomed to utter failure. In spite of these predictions, one cannot underestimate the regional parties who collectively can topple the applecart of the NDA by coming together on a common platform in the form of a Third Front. But one cannot forget the previous experiments with such a possibility as each of the regional leaders entertain an ambition of becoming Prime Minister. Hence, their efforts would be to win the maximum number of seats so that they could have bargaining power to put forward their own claim for the Prime Ministerial Chair. A lot of churning is going on in the political ocean as alliances are being formed and disgruntled ticket-losers in one party jumping the bandwagon of other parties. As winning is the prime ‘mantra’ of all political parties, they are in the process of fielding candidates with criminal background and corrupt practices. The general election of 2014 has been generating a lot of heat and dust. As such it would be interesting to be a witness to the historical event by understanding the forces and personalities that shape the future of this great country. Bellevision.com would bring out analytical articles by experts on the forthcoming elections that would provide insight into the historical general election of 2014. 07 Apr 2014: Modi and Rahul came to Mangalore. Their scripts were packed with barbs against each other plus a few tall promises. Their speech-writers are, oh so, boring, to say the least. People think their parties belong to opposite poles and therefore must be different. How wrong we are. When do people and parties become different? When they do different things or do same thing differently? Can we spot a difference in these two approaches in doing things? Pause here, think, storm your brain and proceed further when the answer acceptable to you is found. I tell you that it is a frog in the above picture. Agreed? Good. Now, I tell you it is a horse, not a frog. Do you accept? When you see a horse, read further. To see the horse, YOU have to shift the angle of your sight. 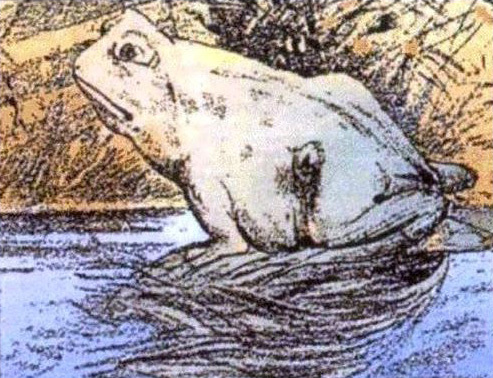 First look with your sight focussed head on and see the frog. Then lower the sight a bit and you will see a horse. You can play with your sight as many times, and alternately you can see frog and horse. Nothing has changed. It is the same picture of a frog and a horse, among other things. The only difference is you have been seeing it differently. Modi says he is the horse and Rahul is frog. Rahul claims he is horse and Modi the frog. We are different from each other. Our parties, programs and policies are different. We also think that they are different. We think ten years of UPA made us frogs and Modi will make us into horses. What are we as a nation? Modi poked fun at us in Mangalore. He said:We used to be a nation of snake charmers. Now, we are a nation of mouse charmers. He meant those of us, the IT professionals, who charm the western rich countries, especially USA and Europe, with our skills in software writing and delivering IT-enabled services, including manning the night shifts at our call-centres. Was he praising us? He would if he could claim credit for cities in Karnataka, including Mangalore, emerging as key players in global IT and ITES sectors. Who actually should take credit? The private entrepreneurs, among who is the INC candidate NandanNilekani, saw an opportunity to earn high profits. What was their raw material? It was the literate semi-skilled boys and girls who were willing to be trained and coached. Equipped with new skills, the youth sold their time and talents to mouse charmers at wages which were better than they earned in their jobs as snake charmers, the traditional jobs in banks, insurance companies, silk and handicraft factories and on farms. Jobs with higher wages were created by private individuals, unknown ordinary men who came from no-where. Tata, Birla, Goenka, Ambani and Bajaj woke up only when Azim Premji, Narayana Murthy and others made huge profits. They wokethe governments up from slumber both in Bangalore and Delhi. Egged by them, the government made new laws supposedly to promote export! But, in reality to help Tata, Birla and others to take on Wipro and Infosys and also to prevent some other unknown boy or girl from starting similar businesses and pose threat to the elephant sized corporations. After all, elephants move slowly where as an ant is agile. The elephant needs protection, not the ant. The contribution of the government to IT was acknowledged by Modi in his speech. IT sector has become stagnant, he warned. “We don’t export talent, we export labour. Unless we don’t export both talent and labour, we will be stuck in low end outsource," he said. Aha! Talent is threat to the regional big industrialists; export it! How a politician trained to see a frog by snake charmers turned mouse charmers wants to help them retain their position by exporting talent who could become a threat by inventing new technologies in India. The Tata, Birla, Bajaj and others can seek import licenses from Modi to import advanced IT technologies from western countries and help them revive stagnant IT businesses. Along with licenses, Modi-ji, please give us ten year tax holiday, acquire farmer lands and give us at subsidized prices under backward special economic zone privileges. Give us every government subsidy so that we can earn and bring in dollars. 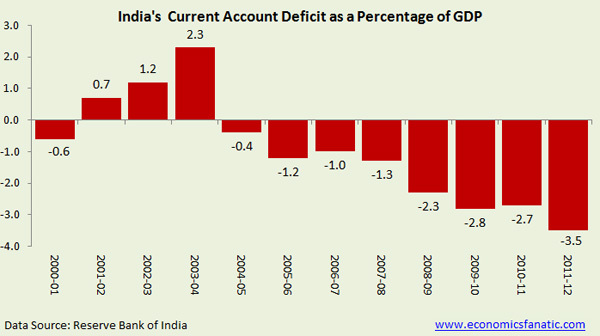 You need them in order to pay for the ballooning current Account Deficit (CAD). Never mind, our frivolous love for imported gold, Chinese consumer and durable goods, foreign cars and SUV, petrol, cooking gas, natural gas and other crude oil derivatives caused this CAD. “Where will our youth go if they do not have jobs? Our priority must be to provide employment to the youth," Modi said. Congress has no model, no initiative to provide employment. Remember, the talented will be exported. The dullards need jobs. Some will run petty shops, run contracting businesses in roads building and paving, and sand mining, quarrying, brick-making and businesses of construction products and services. They will import low paid immigrants from poor and backward regions under bonds and let them settle on parcels of government lands to provide cheaper labour without access to education, sanitation and health facilities. Back to Modi and his question: where will our youth go? And what will they do where they end up going? Run Udupi restaurants, may be? I went and had an informal chat with Santosh Shetty in his office. He is a Navi Mumbai Municipal Corporator belonging to INC party. He was schooled in Puttur in Church controlled school and college. He is ten years younger to me. He owns and runs a popular 3-star hotel, a few restaurants and a flourishing transport business. He has done exceptionally well in his business. His wife is a Corporator too. His two teenager school-going children are born with silver spoon. He did not particularly excel in studies. When Modi is worrying about youth like him, he has nothing but scorn for Modi and nothing but praise for Rahul. (A week after I met him, BV correspondent in Mumbai reported that BJP supporters burnt his effigy because he made rude remarks about Modi in Moodubidri). Entrepreneurs like Shetty draw community support in their adopted cities. Communities of immigrants build associations and inaugurate units all over India and abroad too. Private successful businesspersons patronise these associations and sponsor immigrating youth by providing job opportunities and impart them with vocational and business skills. These interning youngsters look upon their patrons as gods.They make themselves available to do their bidding during their spare time, take out processions with flags and stones on the streets and engage in brawls. In my bars and restaurants hopping trips in Maharashtra, including the most recent one from which I have just returned, I find traders and small business owners increasingly becoming richer and climbing both the social and political ladder. They control their own loyal and zealot groups of supporters waiting to be told what to do without questioning or thinking about consequences. I will briefly mention in detail my one after-dark hour in new Panvel. I accompanied two of my Marathi friends to a restaurant and bar. They are forty-something and I am sixty-one. Frothing chilled beer with roasted horse gram comes at a price of Rs500 per tall glass, served by svelte, well-dressed college-going kind of girls. Cold and hot go together, you think? I don’t. I concentrate on beer, not girls. The manager wants to assist me: Sir-ji, kuchchgaramlelo Sir-ji, motamaalkaintezaamuuparhei. He thinks I look for foreign blondes or boy-girls. I reply in Tulu, by instinct knowing his surname. Ayyo, eer la, enchinapurbule, yennabuddihaalaath’nd, purbulenagurtahaa’thiji….che, yenkshapataagu…Because I am a Tulu speaking oldman, I am obviously a good and pious man. It is a sin to tempt someone of our own! To my Hindu friend manager, I am not Christian anymore. I am his family. I am not in a church, not in a temple but in a bar that runs an underground illicit flesh trade. There are strong ethics and morals in the madhushala, and kotaSir-ji. Modi goes on: SC raps the Congress government almost every-day. The country won’t be free from corruption till we vote Congress out. I am asking for your vote for development. We need to fight the elections for the country, not for an individual not for a party…"
Rahul also says the same: SC is monitoring 2002 Gujarat case, the NarodaPatya case, the IshratJehan case, and…. Don’t vote for an individual. Modi is BJP. He speaks the language of I, we speak the language of we, not I. We gave you RTI and Lok Pal Act; you can nab crooks and send them to jail because of laws we gave you. Sitting in a bar in new Panvel, I see development everywhere. We have Sion-Panvel expressway. We have flyovers, bridges, skywalks, and malls. There is money everywhere. Dance bars are banned, but we have bars with female waitresses at tables (who double as prostitutes). The state is INC-NCP controlled, who banned dance bars. During BJP-SS rule, dance bars flourished; believe me; I have first-hand experience of being in one. If you are not sick in mind, they are clean entertainment. Growth and development brings money, bags of it, more than we need and the need to spend it on something other than stale daal, roti and biwi. The gharkimurgi.Kuchchmeetatheekahojaye? In the most civilized country in the world, where I have travelled a bit and will write a travelogue in a month, pubs and bars are accepted as normal places to go after a hard and stressful day at work. It is a place where you take your wife and kids to, for dinner and drink and some fun. But in Mangalore?Udupi?Belle? We do not want development at the expense of our traditional values, culture, and family ties. We are pure and puritan. We are a 5,000 year old civilization, the first and foremost on the earth. We will not allow spoiling it by western influences. Our girls should not go to pubs. They should not wear jeans. They should not sit along with boys. They should not talk to boys with strange hair-cuts. But our dullard but pure and pious boys can go and run dance bars in other cities, hawk someone else’s daughters to those who do not speak in Tulu. Believe me, Modi and Rahul models of development come with inequality of wealth; only the degree varies. “Farmers are still committing suicide. We need policies so that farmers wouldn’t worry. Need of the hour is to increase the purchasing power our villages" Modi says. Can you tell us specific details, Saab? The media will ask for specifics only from Arvind Kejriwal and AAP. But Modi, he knows, because he has won three times. And Rahul, why ask, he is Pappu; he is not supposed to know anything. Rahul, INC and his party controlled UPA in general and his mother Sonia in particular won the 2004 and 2009 elections with promises to farmers and villages. They coined the inclusive growth model, which is integral part of Rahul Model, among other components aimed at weaker sections of populations and minorities. Modi speaks Rahul language, even as he hurls abuses at him and his First Family, INC, UPA and tells us how they destroyed the country in 60 years. Give me 60 months, I will do more of the same, and you help me save the nation. How cleaver; ullubanaowing is not just a catch phrase. It is happening, what an idea Sir-ji. Rahul Gandhi is clean shaven in Mangalore. During ten-year rule of UPA, we have tried for upliftof poor and rural masses by introducing National Employment Guarantee Scheme that entitles wages for 100 days of labour. Our Right to Information (RTI) Act, Right to Education (RTE) Act,and Right to food Act (RTF) will wipe out poverty. We have granted 50% reservation to women in Panchayat Raj. We have attempted to introduce Women Reservation Bill to grant 33% to women in Lok Sabha and Vidhan Sabha. The opposition parties block us in the parliament and prevent us from reform legislation. Even to fight corruption by Lok Pal Act, BJP was biggest hurdle. But we did not give up. There is no Lok Ayukt in Gujarat. Rahul is right. These laws were passed during UPA regime. They were passed because of extreme pressure by social activists outside the parliament in order to re-orient policies towards development with a human face, so that inequalities are less cruel. And he and his party will pay a price for listening to these activists. Because, when the poor has not yet got the fruits of these legislations, the privileged classes are pretending to be the losers and waiting to drub INC as revenge. They perceive BJP has their interests at its core and would cater to their interests. What are their interests? Make more money and provide more avenues to spend it on luxuries including imported goods, gold, and after-dark fun. But are we not importing more than we export under Rahul Model? Is it not because of this bad economic policy, Indian Rupee is weak and hit 70 to the dollar? The Indian Rupee was 44 to the dollar when NDA handed power to UPA. There has never been a worst PM and FM ever in this country, no? When BJP comes to power, my dream is 1 USD=38 Rupees, says Modi. How do we do that? Would Modi ban gold import? Would he cut all subsidies? Will he stop rice, wheat and sugar to the poor at Re1 or 2, and export them to earn dollars? What is Modi Exim policy? Will he export onions? Will he reduce crude oil import and ban new selling and registering of bigger cars? Will he stop Indians going abroad? Or stop them from investing abroad? Or he will peak the dirty word: FDI!! Addressing a group of Indians in Qatar, I advised them that Rupee will reach 65 to the dollar by mid-2013. I predicted it based on my study of trends in FDI flows and the speeches of BJP in parliament and IAC on the streets. Later, AAP also joined the chorus against FDI. 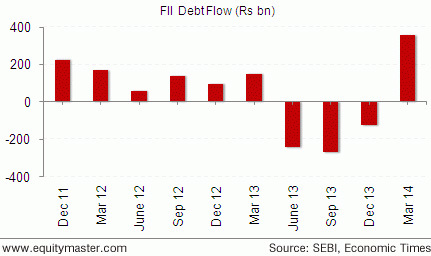 FDI is foreign debt, borrowed money as loans or investment in stock markets or our businesses. It will come or go when our assets are not overpriced and would yield better returns than other investment markets. The money has started flowing in again. Modi says it is because foreigners expect him to be PM. Did US ambassador not meet him, despite CIA and State Department not yet ready for his rule? Rahul says,gold import restrictions and revision of FDI policies outside parliament has done the miracle. Both Modi and Rahul are proverbial frogs; they see only themselves. Would a dark horse, please explain to us, a model that will work for us? Who is the messiah? I will return with more models, young and brave, for our youth to find politics interesting. 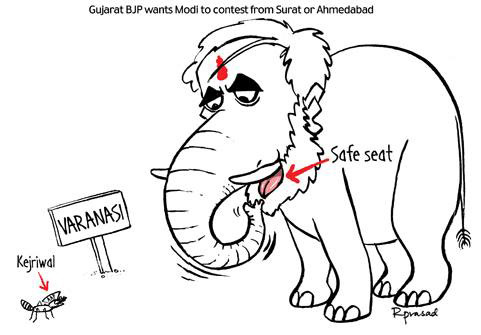 Indian Democracy at Cross-roads - Part 2: Who is Afraid of Narendra Modi..? Fantastic value based article! BJP should not say that INC has done nothing and they have magic power to make India a heaven! It is INC who brought IT reforms and automotive choice in India. Both has their share of corruption. RAJA in Delhi and Yeddy, Reddys in Karnataka, resort politics in the name of development and serving the poor and others in other areas. Trying to wash people saying MODI wave will bring BJP to Delhi is not a mature claim. Look which party employed youth into moral policing and what is their educational background or contribution to economy??? Trying to woo votes in the name of religion is surging in both parties. Using religion to gain power has certainly brought democracy on cross roads! Like many others I too seek a change in government this time...I do not think BJP is a great choice looking at their credentials, AAP is too young!! @Fredrick Fernandes, Moodubelle I am happy: You want to know who can provide a clean, corruption free government who will uplift the poor and safeguard the middle-class. Please read 8 of my articles on this subject BV has published once again. IT is YOU who can do it. YOU who is fed up with communal and corrupt (BJP) and corrupt (INC and JDS). Now tell em what do you want? AAP or NOTA? I received two comments in my mail. 1. Live models are a bit risky. Take care. 2. Those who must read this will not read. Those who read may not understand. But, please continue the noble effort of driving change. Driving change is always a dangerous mission. Look at Arvind kejriwal, he was slapped and attacked unlike others, the keepers of corrupt and communal system. @Benedict Noronha, Interesting. Your choice between communal corrupt BJP and corrupt INC is INC. You hope that INC has learnt lessons and under Rahul, we get more progress. You have a right to hold your view and propagate it. But, I have a right to disagree with your view. I do not agree with this author at all. The Indian public is fed up with communalism and hatred towards minorities perpetrated by Modi s BJP and the Corruption of Rahul s Congress. We are also not interested in hearing what the author did at the late hours whether it is at lady s bar or at shetty s bar in Panvel.. We want to know who can provide a clean, corruption free government who will uplift the poor and safeguard the middle-class. I am of the view that the ^ solid years of NDA rule has put india Twelve years behind progress and five years rule has spoiled the 55 years progress and developed Corruption in every field, including judiciary, as we read in the Media. @Benedict Noronha, Just asking: does security and change go hand in hand? For me, change implies giving up security and seeking the unknown. NDA has six secure years. UPA had ten of them. Time for a change, vote positively for change. Interestingly enough... you do not question AK on how he plans to do what he says he ll do? I suppose he explained it all in detail in the AAP manifesto. I do not agree with the author here. Things are different and media is projecting not in a true manner. Some high ups and downs will not help with the rural voters. They are wise. All the graphs will not help here because Udupi Mangalorean viewers of BV are not voters. They should enlist and try to arrange for voting at their countires through Embassy Officers, which is possible.In the Present setup perosnality or personal details will influence to some extent but the party behind it counts. BJP and Congress or UPA and NDA failures in promises count. Ram mandir, demolition of Babri masjid vendetta Godra episode Modi s personal /family etc brought before the voters count and perhaps decide. Rahul is assumed to be PM candidate if UPA lead by Congress comes to form government. But it is NDA/BJP has loudly announced MOdi as the PM candidate. When the situation comes up for deciding NDA will have tough fight and seniority and experience etc will be trumph cards and there can be no unity and hence mess! It is my present assessment. For a Stable and secure government VOTE UPA /Coingress group and be secure. VOTE YOU must. please do not avoid or give excuses. NOTA is no solution please.